Courteney Cox could lose up to half of the 100-million-dollar fortune she amassed during her 11-year marriage if hubby David Arquette files for divorce. 'David is going to hit Courteney where it hurts the most -- her pocketbook,' the Daily Telegraph quoted a source as telling American tabloid the National Enquirer. 'I think he will file divorce papers shortly, and that's when things will get ugly,' the source said. Arnold Schwarzenegger could soon make a comeback to films. The Governor of California, 63, due to leave office next week, said he had recently met with Terminator director James Cameron and would make an announcement in the near future, reports the Mirror. On making films, he said: "It depends. Will I still have the patience to sit on the set and do a movie for three months? I don't know." He also hopes to give speeches, write a book -- he is yet to release an autobiography -- and continue fighting for the planet. 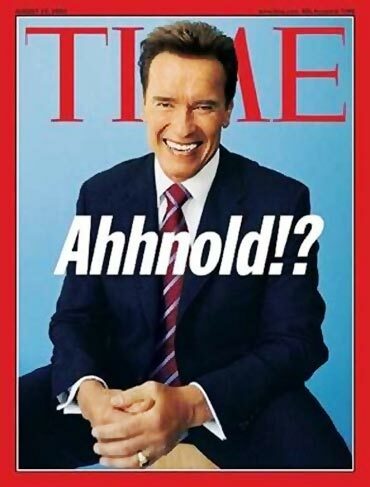 Schwarzenegger would have less trouble being hired by Hollywood than continuing in politics, an industry insider said. Charlie Sheen has been discharged from hospital in New York and is returning to Los Angeles. 'Charlie Sheen has been discharged from a hospital in NY and is returning to LA today, everything else is speculation,' People magazine quoted a rep as saying. Sheen, 45, was found is a New York hotel room and hospitalized for what sources say was intoxication and what his spokesperson says was an allergic reaction to medication. The actor's ex-wife Denise Richards refused to give any details of the incident except admitting that she did help him at the hospital. Madonna is all set up to open a chain of gyms around the world. Called the Hard Candy Fitness Centers -- named after the singer's 2008 album -- the 10 new gyms are planned for Russia, Brazil, Argentina, and in European and Asian cities, according to a statement, reports the Telegraph. The singer, 52, a keen workout, exercise and dance fan, has teamed up with 24 Hour Fitness founder Mark Mastrov. Her manager Guy Oseary is also a partner in the venture. Hard Candy managing director Chris Dedicik said that the Hard Candy Fitness Centers would be "a one of a kind experience merging fitness with entertainment". The gyms will provide private and group training in kick-boxing, yoga, capoeira, as well as weights and specially-designed programs. 'Madonna's touch will be everywhere,' Mastrov said. Madonna will officially launch the Mexico City gym on November 29. Actresses Eva Mendes, Jessica Biel and Rachel Weisz launched their directorial debut at the annual Glamour Reel Moments event in Los Angeles. The beautiful trio was on the other side of the camera for the first time as part of the magazine's yearly project, which sees women tackle short films based on readers' real-life stories. Mendes showcases a movie called California Romanza, which stars Christina Ricci, while Rachel Weisz directed The Thief and Biel helmed Sodalis, about the friendship of two young girls. They followed in the footsteps of past contributors including Jennifer Aniston, Gwyneth Paltrow, Courteney Cox, Kate Hudson and Kirsten Dunst. Demi Moore, who has also taken part in the project in the past, attended the event and later wrote a message to the three actresses on her Twitter page. "Celebrating this year's Glamour Reel Moments directorial debuts of 3 amazing women Jessica Biel, Eva Mendes & Rachel Weisz! Great work ladies," the Daily Express quoted Moore as she wrote on Twitter.com. Eva Longoria and her hubby Tony Parker have been sued for negligence in driving. A driver claimed that Eva went out of control in her BMW and slammed into his Bimmer on Hollywood Boulevard. The accident happened last week, and in the lawsuit -- just filed in L.A. Superior Court -- Roman Gasparyan claims he was in the median, waiting to make a left turn when Eva ... driving in the opposite direction ... "made a sudden lane change into the median lane" and collided with him. According to the lawsuit, both Eva and Roman were driving BMW X5s -- his a 2002, hers a 2010. In addition to the SUV damage, he claimed that he suffered mental and physical suffering -- and he's suing for unspecified damages. Tony was not involved in the accident, but the three-time NBA champ is the registered owner of the BMW, according to Eva's rep.
"There is absolutely no truth to this claim, and any indications to the contrary are completely false and untrue," TMZ.com quoted Longoria's rep as saying. Matt Damon was shocked at being axed from The Bourne Legacy, he has revealed. 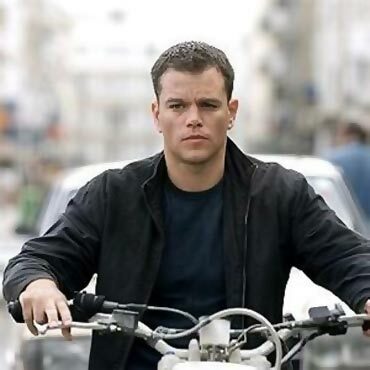 The Hollywood star has played secret agent Jason Bourne in three films, but sparked rumours of a departure from the franchise when director Paul Greengrass quit and the actor insisted he would not return to the role unless his pal was in charge. Michael Clayton moviemaker Tony Gilroy, who wrote the screenplay for the first three Bourne installments, has since been hired to take over from Greengrass and confirmed earlier this year that Damon will not be a part of the new movie. But Damon was by stunned at the news -- because no one "bothered" to inform him of the plans. "I found out they're making another when somebody saw it on the Internet. Nobody bothered to call me," the Daily Express quoted him as telling Parade magazine. "I'm not in it, but even so, they'll work Bourne into the title, I guess. Universal just wants to call everything the Bourne something. So I guess they are trying to make another franchise and as they say, ''It isn't over until it's over," he added. The Bourne Legacy is due for release in 2012.